FRED B. HUNT, JR., concentrates his practice in the areas of Real Estate, Corporate, Business, Insurance Law, Probate, Estate Planning and Administration, and Intellectual Property. Mr. Hunt was born in San Antonio, Texas, September 8, 1942. He was admitted to the Tennessee Bar in 1967; to the U. S. Supreme Court in 1974; to the U. S. District Court, Middle and Eastern Districts of Tennessee, in 1981; to the U. S. Court of Military Appeals and U. S. Court of International Trade. Mr. Hunt attended Vanderbilt University and obtained his B. A. in 1964 and his Juris Doctor in 1967. 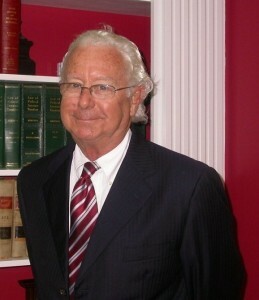 Mr. Hunt is a member of the Shelbyville, Bedford County (President, 1972-1975), Tennessee and American Bar Associations and Tennessee Board of Professional Responsibility 2003-2009. He is a Colonel (Retired) having served in the United States of America Air Force Reserve.